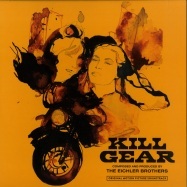 rundfunk records presents: “kill gear”, the debut album by the eichler brothers. 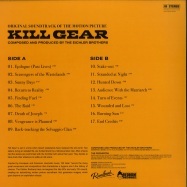 inspired by european and american cinematic music, “kill gear” honors the many great composers and compositions that characterise a bygone era in the history of cinema. the eichler brothers have re-imagined the late 60’s and early 70’s sound, creating an astonishing motion picture soundtrack that generates imagery which goes beyond an exploitation classic. pressing on black & orange mixed vinyl.